Another watercolor painting for my animal alphabet poster. I love quails, they are gorgeous birds. i want to have your drawing! it's so beautiful. Oh my dear, this alphabet poster is going to be amazing! Love the feel of this gorgeous bird, and by putting that little bow tie on him, it just whimseys him up! LOVE! 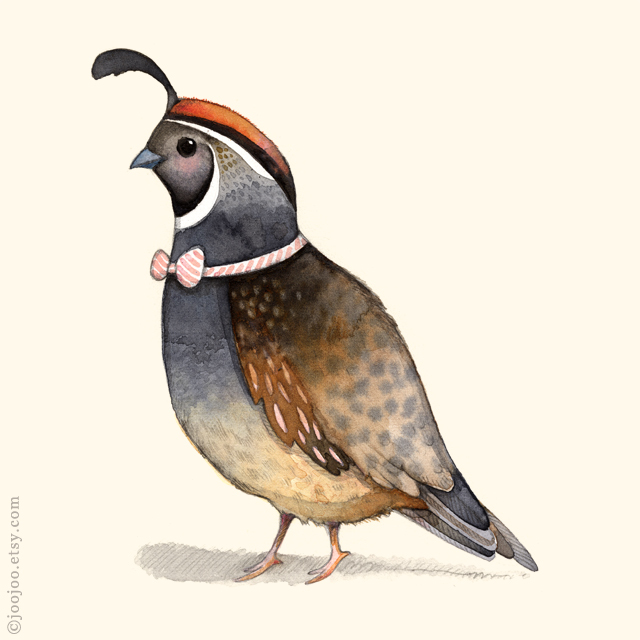 Quails are great but a quail with a pink bow tie? That's just genius! :) :) So adorable. Love the character he has!